With 5 percent of the world’s population and 25 percent of the world’s prison population, it is easy to see that the U.S. has a mass incarceration problem. Delaware is part of that problem. 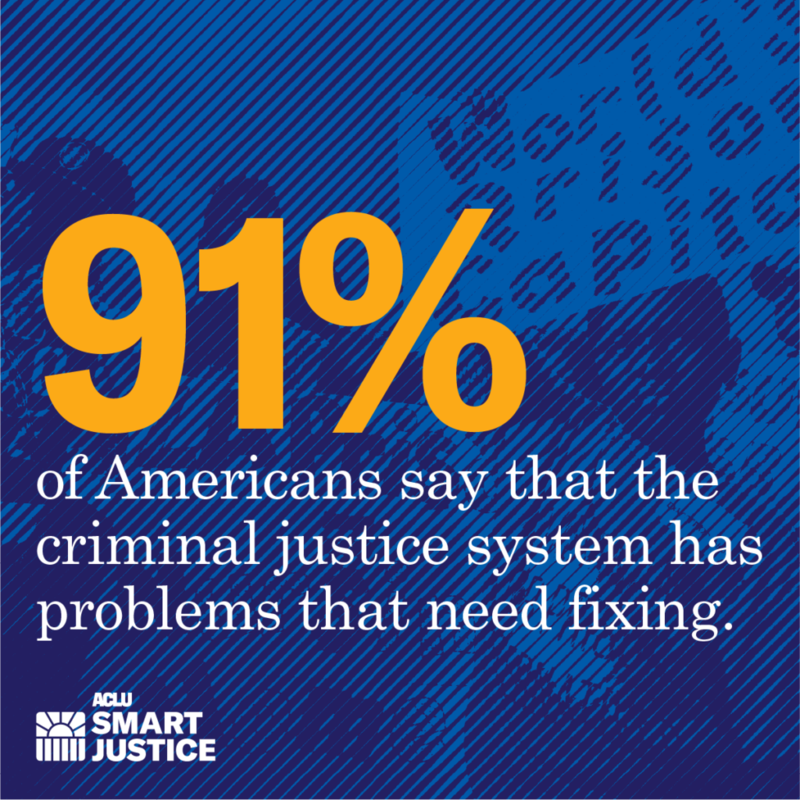 That’s why cutting the prison population by half and challenging the racial bias in the system are the primary goals of our Campaign for Smart Justice. The laws and policies sending so many people to prison and for such long prison terms must be changed. The current for-profit cash bail system is unjust. It targets poor people and people of color and hurts families and communities. We need to abolish cash bail. Most of Delaware’s criminal cases never make it to trial. Because 97 percent of criminal charges are decided with a plea bargain, prosecutors hold the power to end mass incarceration. We will put the spotlight on them. We’re working to ensure that probation monitoring is fair, respects people’s rights, and promotes safety and success for those returning to their communities. The barriers that people face during the re-entry transition create an environment that can make it hard to succeed. It is our goal to ensure that adequate programming and support is available to those in re-entry. Our aim is to educate the public about the staggering number of Delaware residents who have been adversely affected by the criminal justice system and how that system disproportionately impacts people of color. Through public education, grassroots organizing and legislative advocacy, we will challenge the system and create change for individuals, families and communities. Smart justice in Delaware means reducing the size of our prison population so that more resources can be devoted to high quality programs inside and outside of the prison system. When over 16,000 people churn into and out of our prison system every year, we can do no less if we want to keep our community safe.